The Reinvent project was funded by the Marie Curie Industry-Academia Partnerships and Pathways Program (IAPP). Project number 324448.
Business model innovation has to do with inventing and implementing new models for doing business and creating value. A convenient way to think about business model innovation is to think of it as creating a new story about how a business creates and delivers value. As such, business model innovation can be viewed as a process of transformation and reinvention (hence, the acronym for this project). Because of the unique importance of small and medium-sized enterprises (SMEs) and the creative sectors for Europe, Reinvent has SMEs in creative sectors as its empirical focus. 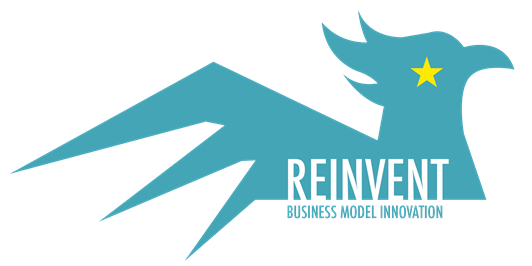 Reinvent has developed knowledge about how SMEs in creative sectors – SMEs operating in both digital and non-digital markets – can implement business model innovation as a means to enhance competitive advantage, and has put this knowledge into practice in three SMEs. Reinvent has created opportunities to evaluate and validate business model innovation as a competitive tool for European SMEs through empirical research among SMEs in the partner countries. The research conducted in Reinvent is particularly relevant as Europe faces a broad range of challenges. Identifying the keys to creating successful business models with which solutions to these challenges – based on innovation and entrepreneurship in the creative sectors – can be achieved is particularly urgent. Reinvent‘s comprehensive impact and dissemination strategy, including dissemination and networking aimed at the general public, policy makers, academia and industry, particularly SMEs, has yielded actionable recommendations. This is of value for European SMEs in creative sectors, which need approaches, methods and tools to develop competitive strategies. Developing the capability for business model innovation in SMEs across a range of creative sectors contributes to European firms’ ability to create and maintain competitive advantage. This ensures that the project impacts SMEs outside the consortium and, thereby, at a broad European level. What is a social strategy?